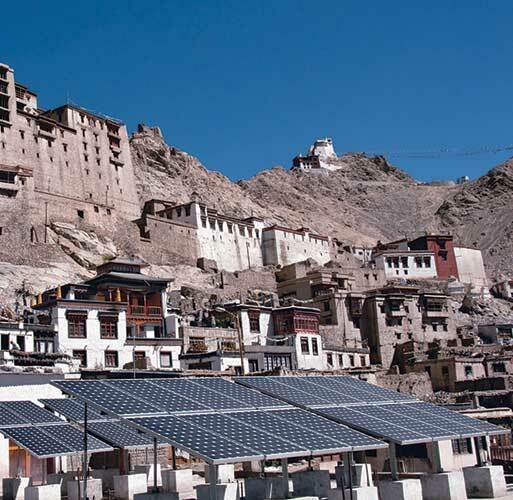 The tough terrain of Ladakh is like a second home for Tata Power Solar. The company has successfully commissioned the maximum number of large, standalone power plant installations in this region including a 40 kWp plant at Nuyoma, 100 kWp plants at Durbukand and a 35 kWp plant at Hanley. The project at Hanley featured here is the second project being commissioned by Tata Power Solar for the same client at the same location which reflects customer confidence in Tata Power Solar’s expertise in such difficult terrains. 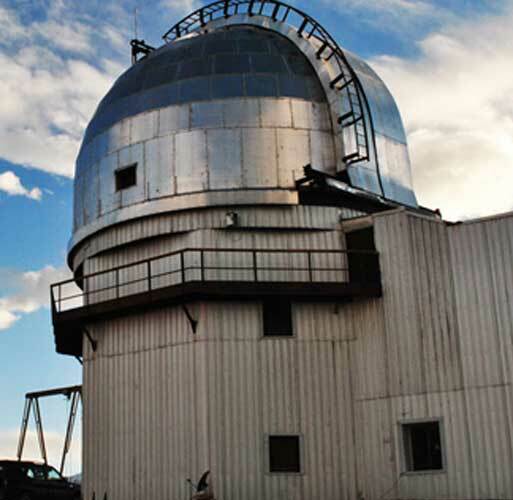 Indian Institute of Astrophysics (IIAP), Bangalore wanted Tata Power Solar to build a 35 kWp solar plant at the IIAP Observatory at Hanley, Leh to power India’s highest telescope. A 2M telescope, sitting atop at the highest altitude in India is operated remotely. To power this telescope, Tata Power Solar designed and developed a solar plant in a record time of nine months to be commissioned in 2005. This 35 kWp plant supports the power requirements of IIAP observatory, which is used for solar and stellar observation. This project is unique for its location, the purpose for which it was built reflects Tata Power Solar team’s capabilities to account for complexities that arise due to altitude as well as the end application it supports. The project to install and commission a power plant for Hanle observatory required Tata Power Solar to transport materials to the project site. While this is the obvious requirement in any project, it became an insurmountable challenge in the context of this project where the transport to project site was such that motorized vehicles could not be used for transporting. Accounting for these conditions, Tata Power Solar customized the various components for ease of transport using mules and yaks while also making sure they were not compromising on the plant performance. 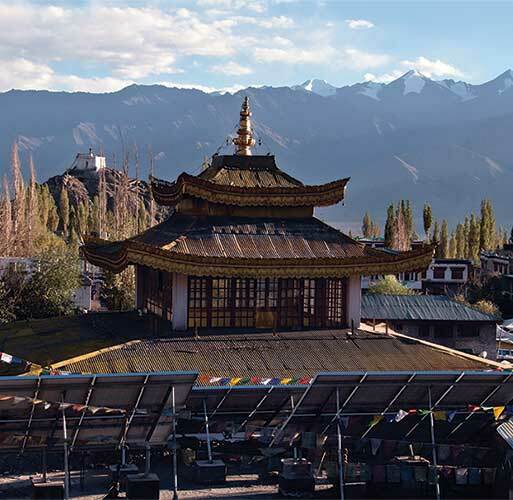 Ladakh faces unpredictable extreme weather conditions throughout the year which does not suit standard solutions. Tata Power Solar realizing this, designed and installed a special temperature controlled chamber where the transformers were stored so the plant performance does not get compromised or affected by the weather conditions. It was very important that the remotely operated telescope gets powered continuously without any interruption due to the nature of its function. The location of the telescope was such that the transport of fuel that is required for conventional sources of energy was difficult and unpredictable. Tata Power Solar by commissioning a solar plant there was able to provide a green, reliable and easy to maintain source of power that could be heavily relied upon. 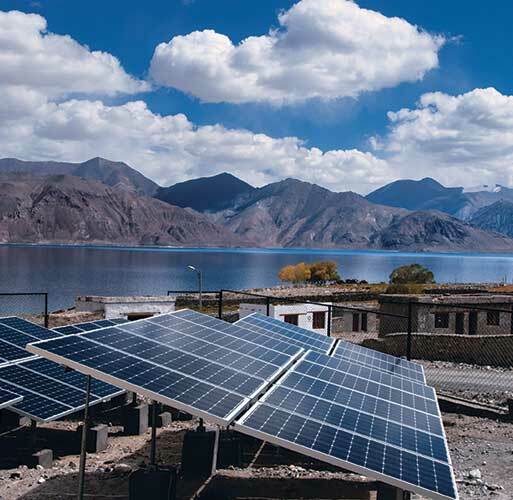 Tata Power Solar commissioned a solar plant for Hanle observatory which not only helped to provide an uninterrupted source of power but also helped the client realize cost savings as in the absence of conventional power sources, there was no transport expenses incurred for transport of fuel which is very high and not viable due to the tricky terrains of Ladakh region.